The Opposition yesterday disapproved of the Government’s decision to allow the Employees Provident Fund (EPF) to re-enter the Colombo stock market, voicing fears that the move could result in losses to the country’s largest pension fund. 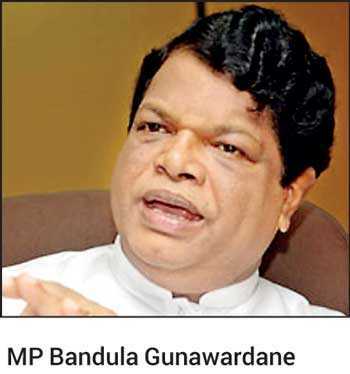 According to MP Gunawardane, the EPF has an accumulated funds of over Rs. 2,066 billion contributed by 17 million account holders. By investing in the stock market in its current moribund condition, he cautioned it could lead to the EFP losing both capital and expected returns on investment. In response, Minister of Public Enterprise, Kandyan Heritage and Kandy Development and Leader of the House Lakshman Kiriella held that the request would be brought to the attention of the Government. EPF is the largest pension fund in the country with an asset base of Rs. 2,066.3 billion as of 2017, but has witnessed a subdued growth in recent years. The five-year compound annual growth rate of its asset base had declined to 13.2% in 2017 compared to 13.6% in 2016 while membership growth remains stagnant at 17.3 million members in 2017, according to analysts. The return of the EPF is seen as a way to boost the Colombo Stock Exchange (CSE), which has remained in the doldrums since the Central Bank bond scandal resulted in the EPF pulling out of trading. The Central Bank is working on a new security system to promote transparency and once it is implemented the EPF is expected to return to the market.